As I’ve explored in numerous reviews in the past, such as Bride Of Chucky and Puppet Master III, there comes a point in some horror films where it becomes clear that the killer isn’t very intimidating. There are ways to deal with this. The Puppet Master solution was to turn its killers – the titular puppets – into the heroes and make the audience root for them. The Bride Of Chucky solution, meanwhile, was to acknowledge that the concept of a killer doll was a daft one and therefore the best thing to do was not only make Chucky the hero but also play the film entirely for laughs. 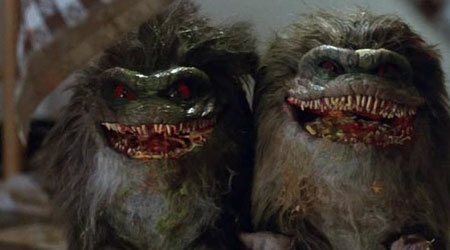 Critters instead takes the Gremlins approach (the first one, not its sequel), which also aims for comedy but at the same time steadfastly refuses to accept that its killer creatures are anything other than nasty little bastards. And it works. A small rural town in Kansas is being infected by little round spiky buggers. They look a bit like porcupines, but also appear to be capable of communication and emotion. In short (so to speak), they seem to be far too intelligent to be considered similar to any animal on Earth. Sure enough, that’s because they aren’t: they’re from outer space. In fact, they’re Crites, a race of small, furry aliens from outer space who have a habit of eating flesh. 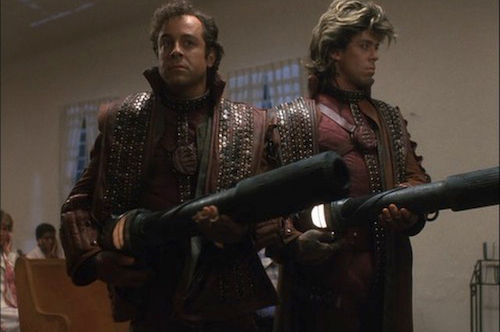 These Crites in particular are wanted by a pair of bounty hunters, so said hunters travel down to Earth to see if they can find and capture them, dead or alive. Being aliens, these bounty hunters have the ability to morph into anything they see. So, in order to fit in, they transform into the least conspicuous humans they can think of. Unfortunately, these turn out to be world famous rock star Johnny Steele and local nutjob Charlie. But what of the Crites/Critters, I hear you ask? (Actually, I don’t, I’m just guessing and I’m probably way off). They’ve managed to find their way to the house of the Brown family, who naturally don’t take too kindly to these nasty spiny pricks causing them aggro. The Browns eventually encounter and team up with the bounty hunters, resulting in a ridiculous battle scene with loads of gunfire, huge explosions and heaps of damage done to the Browns’ house. I like Critters. It makes no bones about the fact it’s not taking itself too seriously, and its genuinely funny dialogue keeps you laughing throughout. 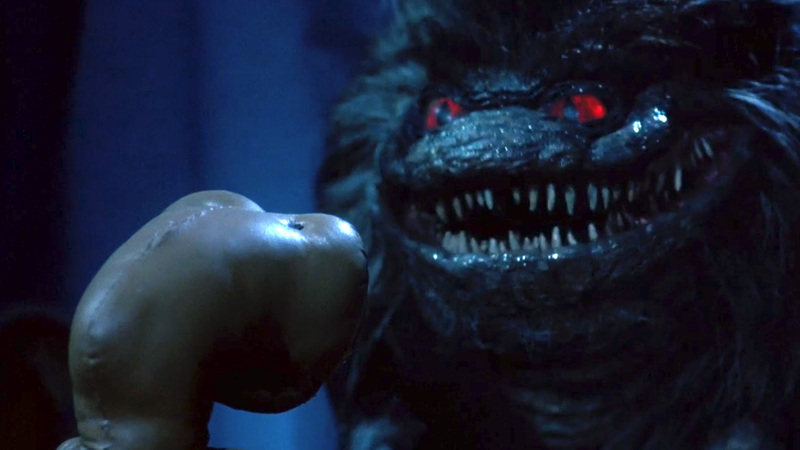 It’s little wonder it spawned a number of sequels (which I plan to review soon), including the wonderfully named Critters 3: You Are What They Eat. It isn’t without its faults, of course. The movie suffers a little from Jaws syndrome in which it takes too long before we get to see the Critters in question. Fine when it’s Spielberg pulling it off, but not so effective here. It’s also got a bloody dopey final scene, resulting in the feeling of a film so desperate to have a happy ending it’ll do away with all logic and consequence in order to ensure it takes place. 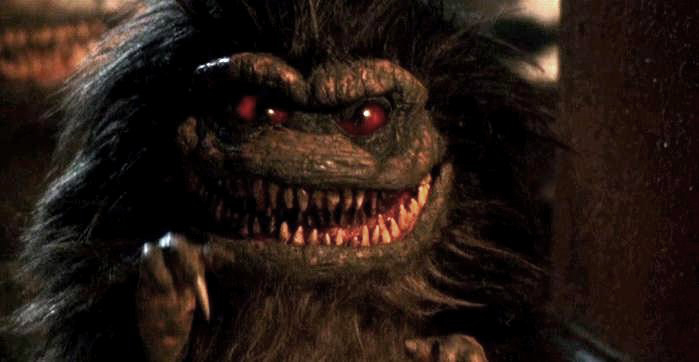 Despite these annoyances, Critters is a laugh for those seeking something in the Gremlins vein of horror-comedy. Don’t go into it expecting too much and you may be pleasantly surprised by the genuinely funny moments you’ll find within. In the UK you can get Critters on a standalone DVD, but why bother? It’s out of print now, meaning it’ll cost a decent amount. 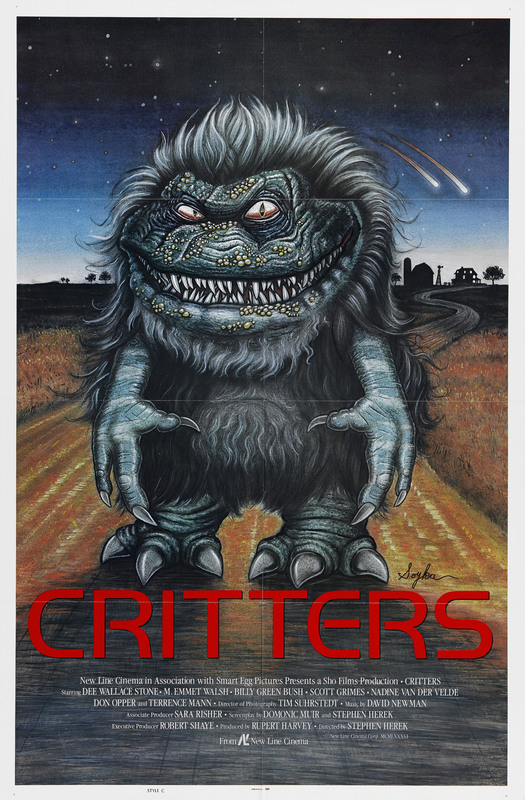 Instead, for less than a tenner you can get the Critters Collection DVD boxset featuring all four movies. Alternatively, you can rent it from £2.49 on Amazon Instant Video. In the US, it’s a similar situation: the standalone DVD, the reasonably-priced four-film DVD boxset and the Amazon Instant Video rental option. As a kid this film scared me to death. As an adult I love it! Wasn’t Leonardo di caprio in one of the sequels?